PRAYER PROMPT ••• Two Sunday’s ago, my husband and I lit the first Advent candle of the season at church. It’s a word that God keeps putting on my heart, and for such a small word, it has some big meaning. Two different viewpoints, both recognizing the power of the word. In today’s world, it falls somewhere in the middle. Hope starts with optimism, but it often comes with a side-order of doubt, with maybe a hint of suspicion. However, the Biblical definition of hope is something else. This view of hope continues from the Old Testament to the New Testament, with an emphasis on Jesus as our hope. It makes our modern day understanding of hope look pretty flimsy, doesn’t it? Expectation is looking forward to something. It’s not wishy-washy — will it or won’t it? It’s a confidence in things to come. When it comes to living out hope according to the Bible’s definition, we need to take a page from those who lived centuries before us: We can trust God’s goodness. We know He keeps His promises. We expect Him to hear our prayers. We are confident and secure in our futures because of Him. True hope is rooted in faith. This morning, replace “Israel” with your own name. 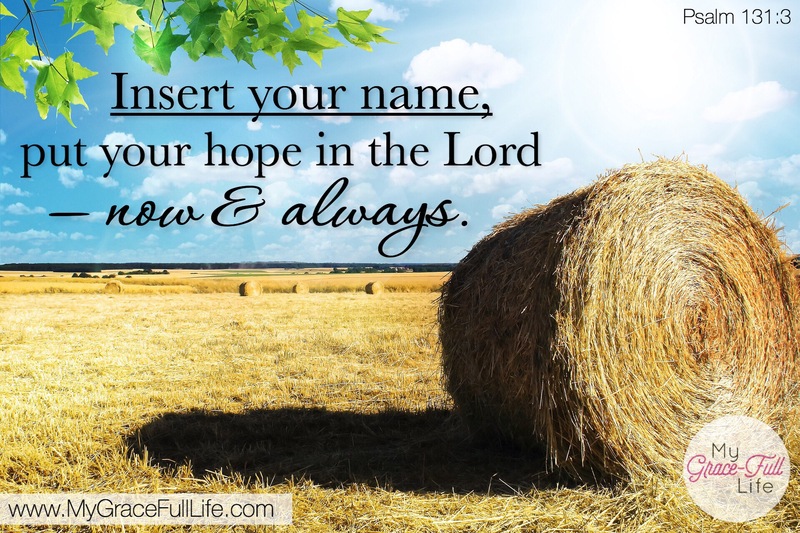 Embrace the hopeful confidence we have in the Lord and celebrate it with eager expectation! Today, as you pray, thank God that real hope is solid. It can’t be broken because we recognize His great goodness and trustworthiness! Thank Jesus because of His sacrifice, our hope is secure.